Hey folks, how have you all been? I missed last week’s blog post as I decided to take it easy. I did not lax, just that I did not want to be bound by the virtual dictates. It was 15th of August, so I literally enjoyed that sense of freedom of lying low. Of course, I did put up a post (can’t break away so easily after all) but yeah it was good to take it easy for once, introspect and come back with a fresh perspective. So, getting back to the blog post, since we are approaching the festive season I decided to put together a look for the same. A vibrant dreamy combination of pink and orange is the perfect description of this outfit from Taraasha. I just fell in love with the outfit and how gorgeous it looked on me. 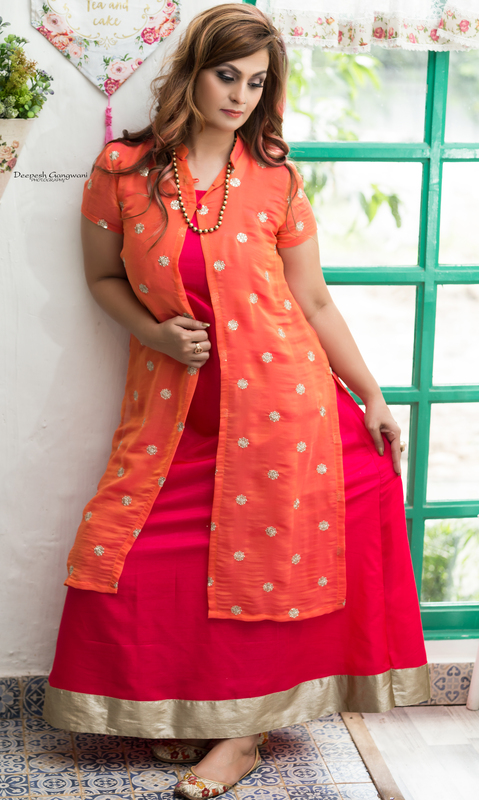 It is a two piece outfit, a long floor length pink A line dress and a orange georgette jacket on top. The jacket has gold work on it. 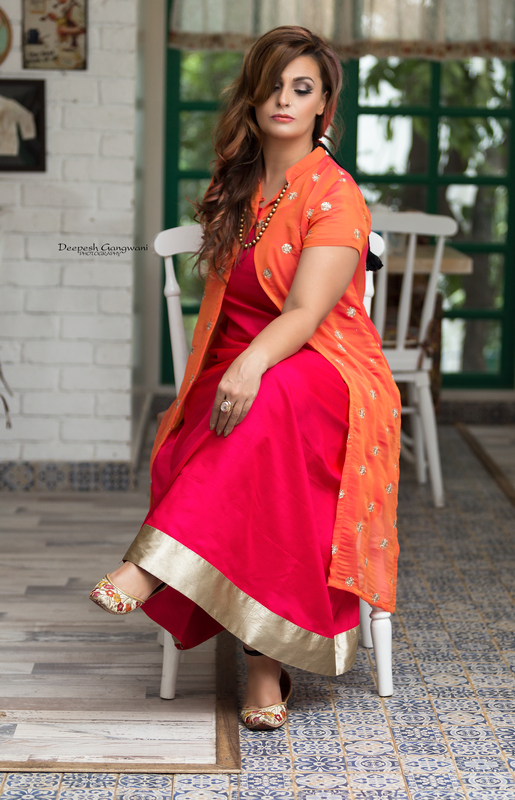 Orange and pink hues look so bright and festive and apt to wear for different occasions like sangeet, mehendi, puja etc. Accessorise with gold heels and gold danglers. I wore a gold beaded neckpiece from Aatman and mojris to add an ethnic swag to it. Since, it is a two piece outfit, it is versatile and can be paired individually as well. The pink a line dress can be paired as it is while one can add a bustier top and silk pants with the georgette kurti. Sharing some pics of the outfit, hope you like them. Do tell me how do you plan your outfits for the festive season.